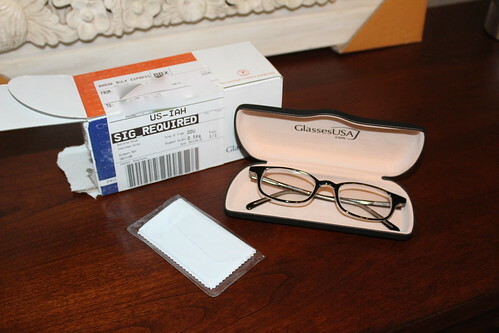 Recently I was offered a pair of prescription glasses from GlassesUSA.com! They were like "hey, we'll give you a store credit and give one of your readers a store credit and give the rest of your readers a discount code!" and I was like "of course!" 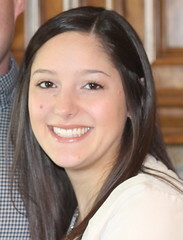 I wear contacts. I have a pair of glasses, but they're very old. 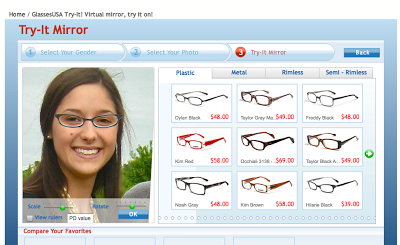 I never wanted to pay for updated eyeglasses because I rarely wear them. 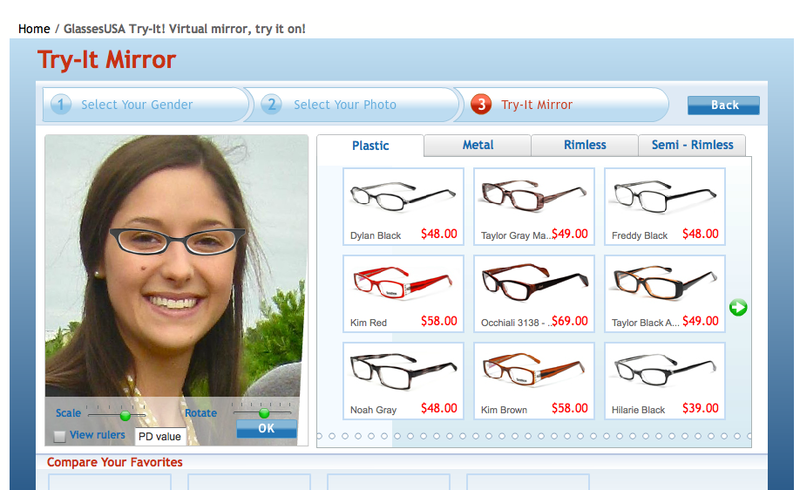 But with prices like the ones at GlassesUSA, I can totally afford them! It's hard to buy glasses online without trying them on, but GlassesUSA's" Try-it Mirror" lets you see the glasses on your face. 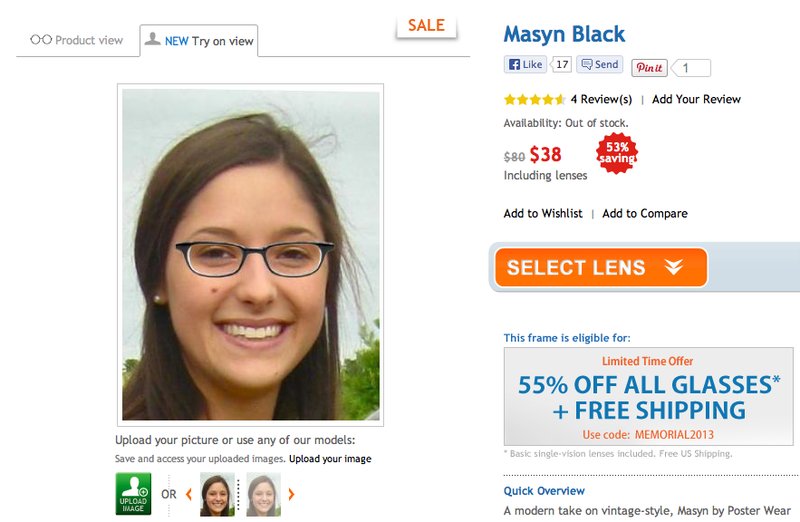 I was overwhelmed by the many options, so I just picked one of the "best sellers," the Masyn Black. Want to try the Try-it Mirror? The glasses are great. It's so nice to have a pair with an updated prescription, and since they're not all scratched and outdated like my old pair, I might actually wear them out of the house! The price was right, too! I can't comment on shipping time because mine were accidentally delivered to my neighbor, and I'm not sure how long she had them before bringing them over. I never received a shipment notification email (even though the order confirmation e-mail said I would), so I didn't have a tracking code, which was annoying. 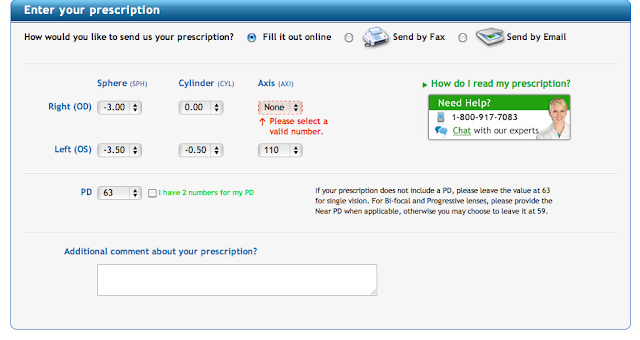 Another weird thing was the prescription input. 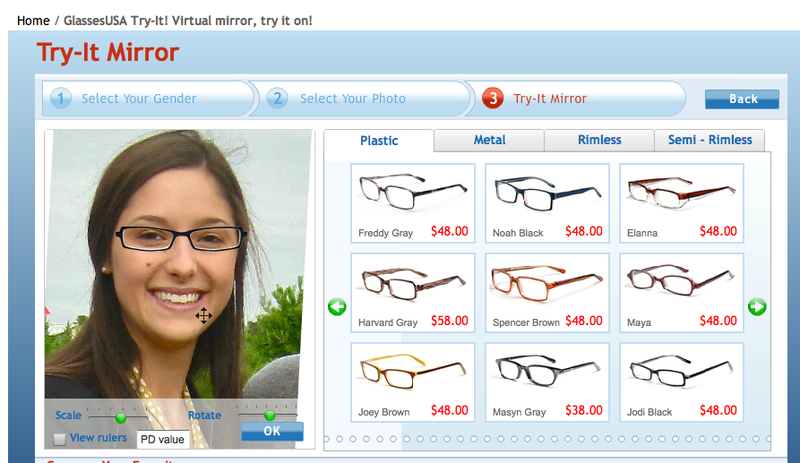 The online form wouldn't let me put "none" for the right-eye axis like my prescription said. 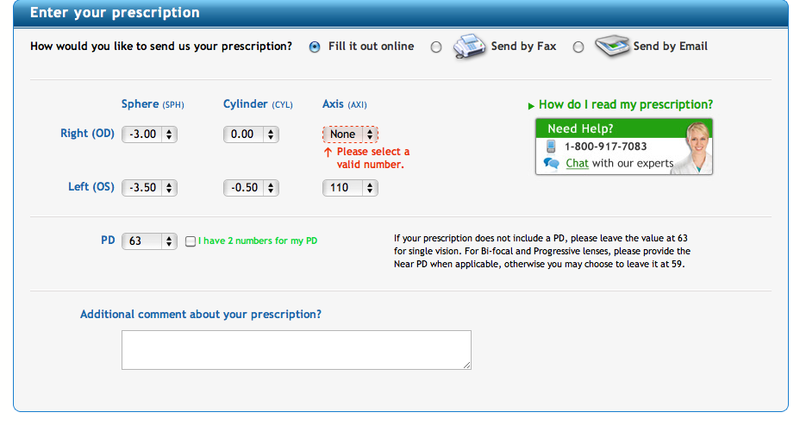 It wasn't a big deal because you can email a scanned copy of your prescription instead, so I did that. A few days later someone from customer service called to "confirm" my prescription. I was kind of like "uhh, you have the scanned copy of it, shouldn't that be all the confirming you need?" But they did get my prescription right in the end. Overall, I'd buy from them again. 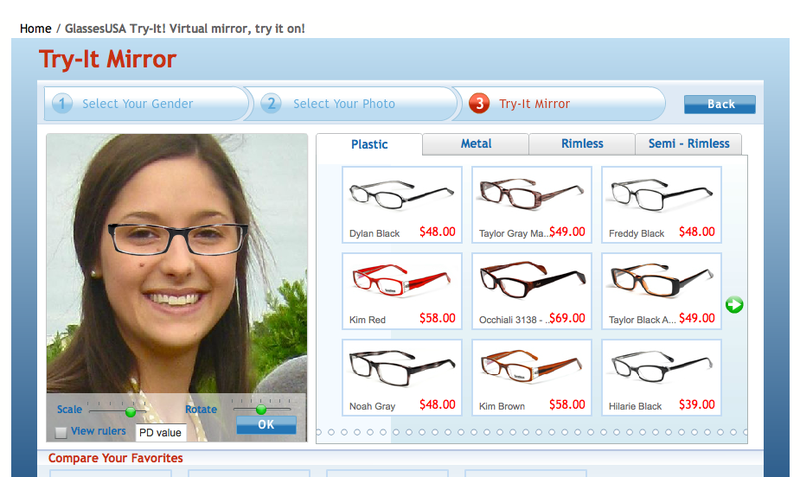 GlassesUSA is great for the wide selection, virtual mirror, and awesome prices. Downsides include the lack of shipment notification and tracking number, and the inconvenience of having to scan in my prescription and subsequently confirm it via phone, but I'm more than willing to handle those things for the great price! I've been dying for a new pair of glasses! Mine are several years old and in need of an updated prescription. 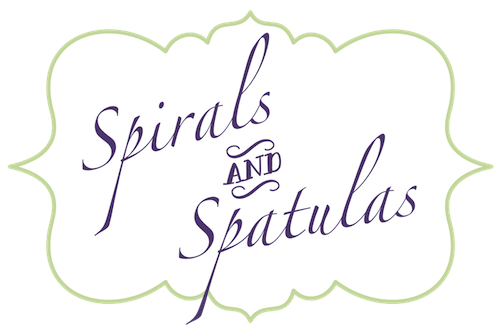 I'll have to check these guys out! And of course, I didn't read your question before I commented... Lol. I only wear my glasses when driving or at night. I never got the hang of contacts, and since I don't need them all the time, I didn't bother with them. 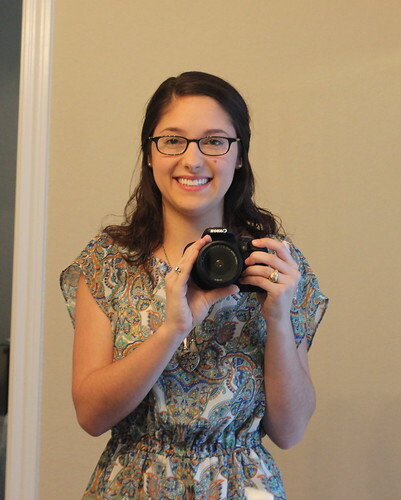 I like the way I look in glasses, but yes it's very different! You look cute in yours! 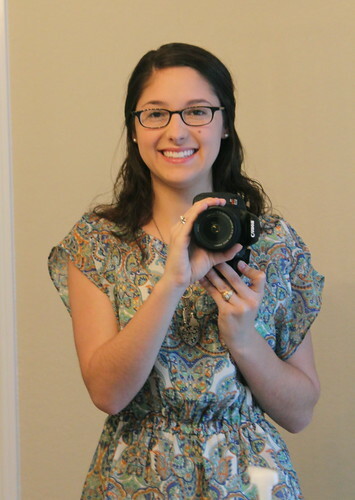 I'm almost to the point of getting new glasses! I will probably order from them! Thanks Katie! 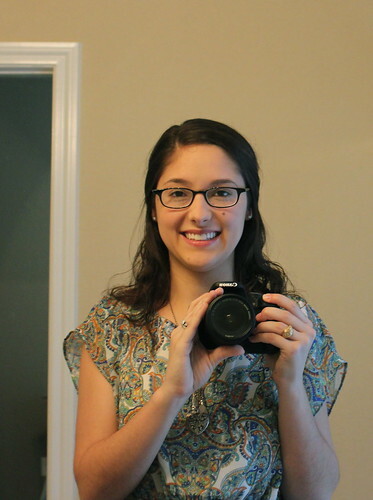 I just got a new pair of glasses (also need them for driving) but I definitely want to try ordering them online next time! It sounds so, so, so much cheaper. Yours look really cute! !